Detailed account with background material and pedigrees, covering Hertfordshire, Dorset, London and Devon (14th-17th centuries). Including Index to wills of Wells individuals 1300-1925, proved in various courts, and also notes on Yorkshire families: Robert Welles of Galphay c.1516-1584/5 and descendants, Wells Families c1516 - 1900, A chronology of events, mainly in Yorkshire, involving various Wells individuals and associates and Torphichen Preceptory. Includes a section on medieval Whitney families, together with material extracted from primary and secondary sources. Includes notes of medieval occurrences of the surname in Staffordshire. 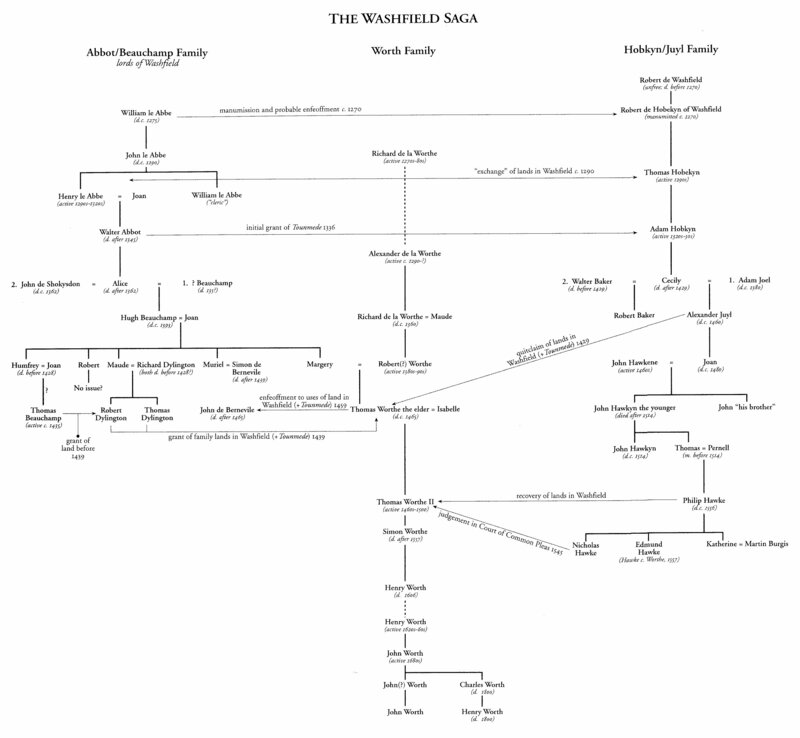 Detailed narrative pedigree of the Wingfield family of Suffolk, 13th to 16th centuries. Biographical notes on a 16th-century cleric, giving evidence suggesting that he was an illegitimate son of Cardinal Wolsey. Notes on John Wright (d.c.1540) of Holderness and his descendants.